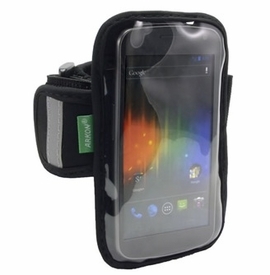 Arkon's XXL-ARMBAND fits most Smartphones having up to 4.7" screen size including the Samsung Galaxy Nexus, Galaxy S II variants, Galaxy S 2 Skyrocket, Motorola Droid RAZR and Droid RAZR MAXX, HTC Vivid, Sensation XL, Titan and more. 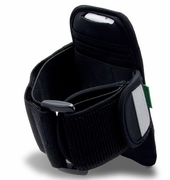 Features an elastic armband with reflective safety strips sewn into the fabric. Designed to fit phones with screen size 4.3" - 4.7"